Dr. Jon Polcyn is the team physician for the Plainfield Saints, Plainfield Athletic Club, Illinois Hawks and Plainfield Prowlers. 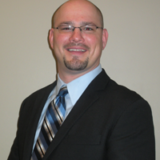 Dr. Polcyn received a Bachelors of Science in Biology from the University of Illinois at Urbana-Champaign and went on to receive his Doctorate Degree in Chiropractic Medicine. He has completed extensive post graduate training in sports medicine, orthopedics and rehabilitation.